She confirmed that "if we are able to pass a deal in the first three weeks of May, we will not have to take part in European Elections and will officially leave the EU on Saturday, 1 June". Mr Corbyn said talks between Labour and the Conservatives to find a Brexit compromise were "serious, detailed and ongoing", and on the central Labour demand that the United Kingdom stay in the EU customs union, Mrs May said: "I think there is actually more agreement in relation to a customs union than is often given credit for when different language is used". Mrs May spoke for about an hour at the summit, before leaving the room to leave the European Union leaders to discuss her request. May and German Chancellor Angela Merkel were seen laughing over a tablet bearing an image showing the two of them speaking to their respective Parliaments on Wednesday wearing similar blue jackets. 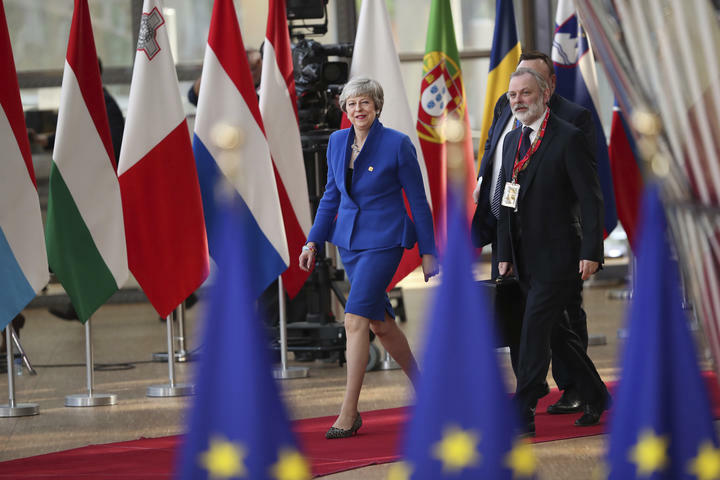 While many leaders said they were inclined to grant a Brexit delay, Macron expressed reservations, warning as he arrived at the summit that "nothing is decided". After all, all options from a "no-deal" Brexit to a general election to no Brexit at all remain on the table. The prime minister had asked for a delay only until June 30, but Tusk said in a tweet that she had agreed to a longer "flexible" extension, which provides for Britain to leave any time before October 31 provided Parliament ratifies a divorce deal and passes accompanying legislation to ensure a smooth transition out of the EU. Perhaps she might judge on this year's walking break that enough is enough, and one of them should be given the chance to push Brexit over the line: but her resilience and staying-power are, of course, legendary. If the two sides could strike a deal though, they could agree a parliamentary timetable for ratification - in theory at least, before the 22 May deadline for participation in European parliament elections. Following her Commons statement, Mrs May and Mr Corbyn held a "short meeting" at Westminster when they agreed to continue the talks process, Labour said. That would leave the door open for a second referendum. "There is no majority among MPs for any outcome, but there is no majority among British people for any outcome", he said in an interview. The Conservative MP also said: "the only way this will get through is if she gets an amendment to the Northern Ireland amendment, instead of the backstop that keeps us in forever". "You know, the European Union is not a prison". More news: Amazon Fab Phones Fest: OnePlus 6T available at its lowest price ever!